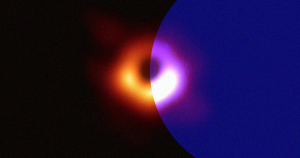 On Wednesday, the team behind the Event Horizon Telescope (EHT) made history by sharing the first ever image of a black hole — a snapshot of the event horizon of a supermassive black hole in the M87 galaxy. To accomplish that extraordinary feat, they had to surmount countless technical hurdles — it was the equivalent to counting the dimples on a golf ball in Los Angeles from New York, according to an EHT explainer video — meaning any image of a black hole would have been a remarkable achievement for science. But the image they shared is inspiring for another reason as well: it confirms what scientists predicted a black hole would look like based on Albert Einstein’s 1915 general theory of relativity. Einstein predicted that gravity can warp the fabric of space-time. Based on that theory, scientists predicted what a black hole — which has immense gravitational pull — should do to the light around it, and what that should look like. Knowing that an image of a real life black hole fits these visual expectations — it’s basically a bright ring around a black circle — confirms that one of the foundational theories of physics holds up in one of the most extreme environments in the universe. And now, scientists can move forward with the knowledge that more than a century’s worth of science has been built upon a solid base. In that respect, it’s hard to imagine Wednesday’s reveal didn’t cause a palpable sigh of relief from physicists across the globe.